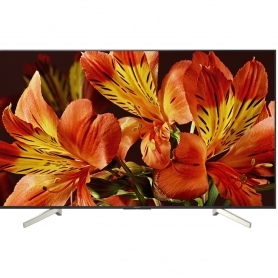 Experience your favourite programmes in unbelievable quality with the Sony KD43XF8505BU 43” TV. Whether you’re watching the news, sport or an action-packed movie, your entertainment will be displayed in flawless detail. 4K UHD TVs boast four times the number of pixels of a full HD screen resolution. This allows you to view everything in picture-perfect clarity. The 4K UHD X1 processor brings TV to life. Every picture will be more lifelike and have greater detail than ever before. 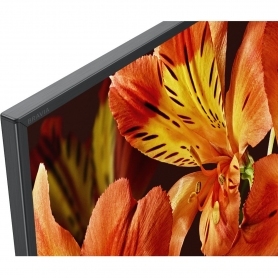 Sony’s exclusive Triluminos display uses an extensive colour palette to recreate realistic and lifelike hues. From vibrant reds and greens to striking skin tones, every colour is reproduced as beautifully as life intended. Never miss a moment with Motion XR technology and the 100 Hz native panel; every movement is smooth and sharp, even when you’re watching a fast-moving action scene. 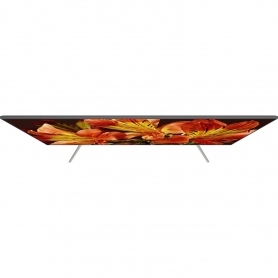 The KD43XF8505BU also has LED backlight technology to enhance the picture quality and brightness. There will never be a dull moment with the KD43XF8505BU, thanks to its endless entertainment options. What’s more, you can plan a week’s worth of your favourite TV with the seven-day electronic programme guide. The KD43XF8505BU also has a collection of other useful features, including Wi-Fi and Bluetooth Connections and access to the Google Store App. 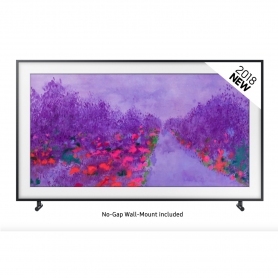 With four HDMI connections and three USB ports, you can link all of your external devices to the TV for an all-in-one entertainment solution. There’s also a handy headphone jack and the option to stream media from your PC. The KD43XF8505BU has a sleek black finish with a silver chevron stand. 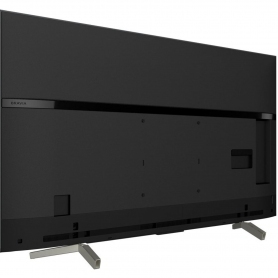 Alternatively, use a VESA wall mount to give this fantastic Sony TV pride of place. Experience all of your favourite entertainment in super-sharp clarity with the Sony KD43XF8505BU. Add one to your basket today.